We have all heard about connected cars, autonomous car, and self-driving cars. What does all this mean? Especially in the UAE and Middle East in general? How does it effect my company and how can I benefit? These are the main questions we get when we are at events like Gitex or IoT conferences. This post will give a brief overview and how your company can benefit from some of the features of connected cars today. This is what we have currently, the driver is in charge of the car, emergency control like braking is under the driver’s control as well as monitoring the road. Tools like Active Cruise Control, Blind Spot Monitoring, and Back-Up sensors are the basis of L1 automation. Now the car’s control can be shared between the car and the driver. Volvo, Ford, Toyota have introduced tools as far back as 2007 where actions such as semi-automated braking. Lexus introduced the self parallel parking car in 2006 that used back-up sensors along with partial control of the car in the ‘hands’ of the ECU. In Level 3 the car can essentially monitor the road, but the human is still in charge. This is what Tesla recently showed with their AutoPilot upgrade via Firmware-Over-The-Air (FOTA), this is similar to what we do with our dashroad dongle. 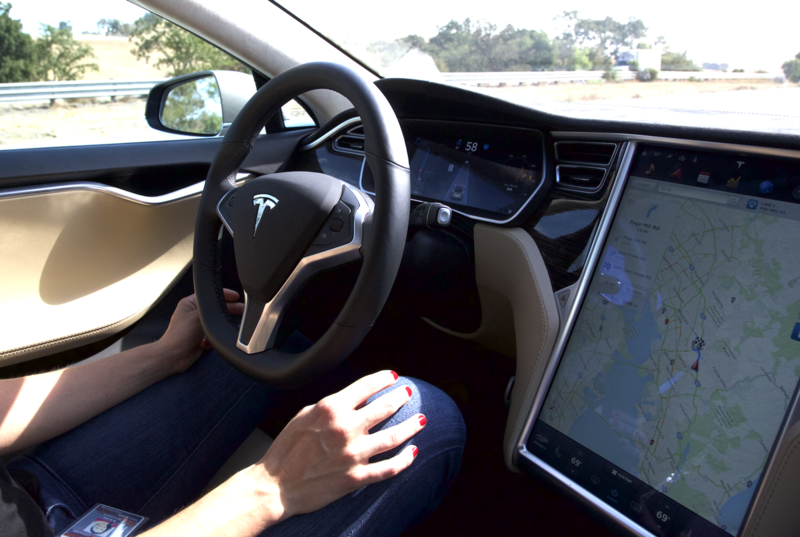 With L3 automation such as Tesla, the driver is still in charge of emergency conditions. Tesla resets the autopilot every 10 minutes to ensure the driver is still aware of driving. In Level 4, the human contact is now optional! The dashboard still looks likes a car dashboard, steering wheel and all. The vehicle is in charge of all driving conditions and even can come to a stop by itself. This is a brand new designed product, no steering wheel, different sitting condition. There are so many design changes that need to happen before this comes to fruition. Both Mercedes and Google have shown their concept cars that are at L5 automation. Ford, GM, Toyota, and VW are working on their own products but have yet to show them to the public. This is a basic primer of different automation levels that companies refer to often. We are long way from implementing Level 5 autonomous cars, especially in the UAE. The challenge for autonomous cars in the UAE is not a technical challenge from the OEMs, rather it is about upgrading the infrastructure to meet the new L5 vehicles. This is both physical and legal, from changing laws where cars can be shared, tracked, and controlled to physical where Vehicle-to-Infrastructure communication will need to be addressed. Both public and private sectors will need to get more comfortable with data that will need to be shared to make autonomous cars possible. Vehicle tracking will be the first stage of data driven design. We are building out the tools to make better driving decisions today that will be used for the future of autonomous cars. This is an early step, but an important one. Here Maps recently was sold to a consortium of car manufacturers just because of this reason. Mapping, tracking, and data analysis will be the foundation of all connected cars, and being able to transfer that data amongst drivers and decision makers will be key. Follow us at @dashroad to see how we will help change the connected car landscape in the Middle East.